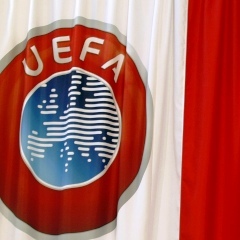 Vienna - UEFA's top official overseeing football in Crimea says a block on Russia and Ukraine being drawn to play each other could yet be lifted for the 2016 European Championship. UEFA executive committee member Frantisek Laurinec of Slovakia tells The Associated Press he believes the two countries could play "in a neutral field like in France." After Russia annexed the Crimea region from Ukraine last March, UEFA decided in July to separate their national and clubs teams in all continental competition draws. A ceasefire negotiated last month has calmed conflict in eastern Ukraine between government forces and pro-Russian separatists. The Euro 2016 groups are drawn December 12 in Paris. Russia and Ukraine are both currently third in their qualifying groups. Laurinec says "if both teams would be qualified, I don't see any problem to play in the same group."